Cross-channel plans are becoming increasingly vital as they are becoming more and more significant to overall customer experience management strategies. However, according to Forrester, only 10% of companies surveyed planned to invest in multichannel support. There is often so little integration that there's a good chance that a customer's message might be handled by the wrong person depending on their channel of choice. Implementing a technology to unify this front is only a first step and will fail without a proper plan to support it. 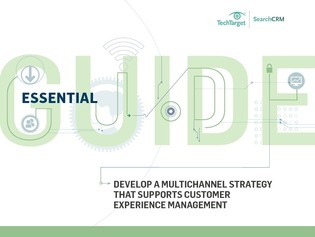 This e-guide takes you through the essential steps to planning a customer experience management and multichannel strategy to best support your customers and maintain success.